Many patients arrive at a wildlife rehabilitation facility in a dehydrated and/or emaciated state. 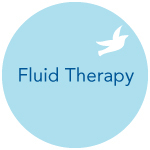 Fluid Therapy provides wildlife care professionals a working knowledge of the vocabulary and concepts underlying the modern approach to fluid therapy in mammals, birds, and reptiles. Students will learn the physiology of dehydration, its effects on various organs, how to recognize the clinical signs of dehydration, and how to formulate and carry out a fluid therapy plan. To receive a course completion certificate, students must successfully pass the online Fluid Therapy exam with 70% or higher, complete the lab, and pass the homework. 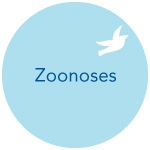 If you are not taking Basic Wildlife Rehabilitation you will need to purchase the Wildlife Rehabilitation: A Comprehensive Approach before class.